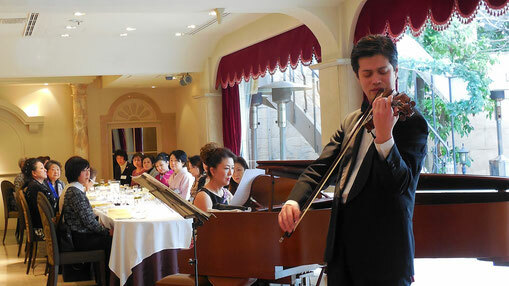 The first Monthly Meeting of the Tokyo Women's Club in 2018 was a violin recital by a very talented young violinist, Mr. Sohei Birmann. 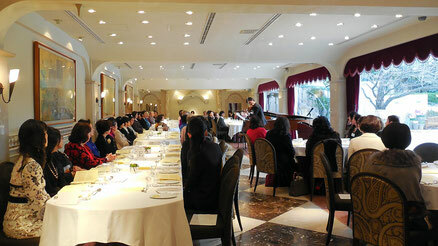 Ms. Yumi Okazaki accompanied him on the piano. 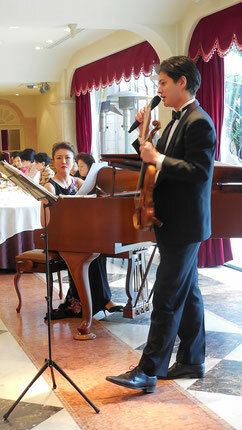 The program was elegant and gorgeous. Besides, the venue "Q.E.D. 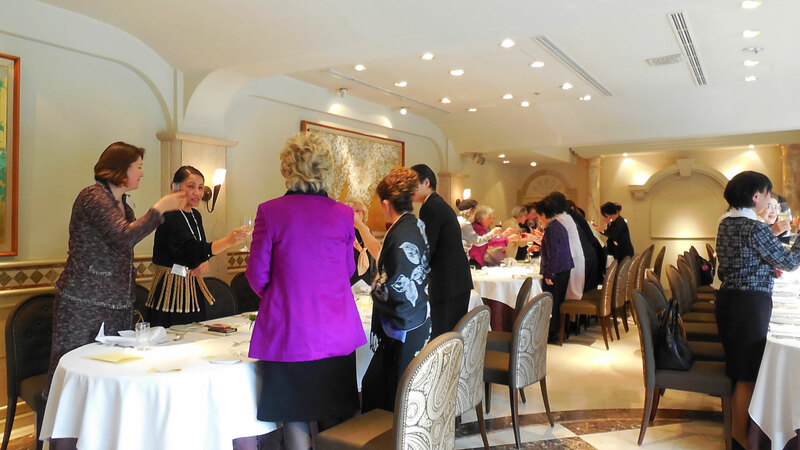 Club," which was once the Hungarian Ambassador's Residence, has an elegant ambience and a beautiful garden. We felt as if we were in a dream. H.E. 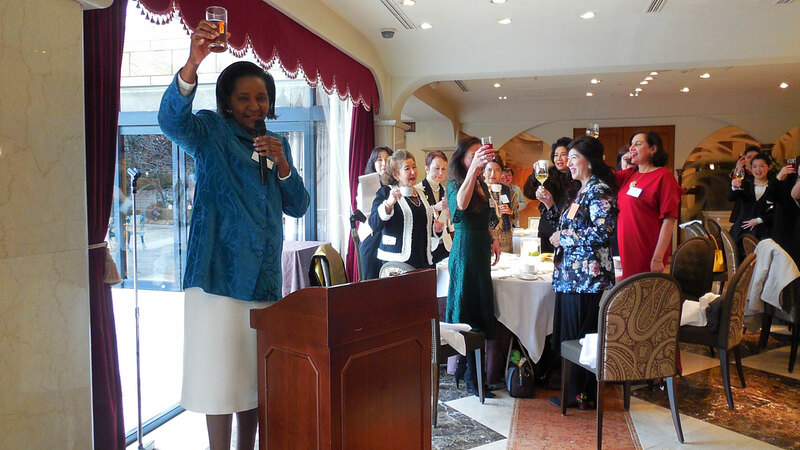 Ms. Ndiyoi Muliwana Mutiti, Ambassador of Zambia, proposed a toast for the New Year's Luncheon of the Tokyo Women's Club in 2018. It was a great honor that H.E. 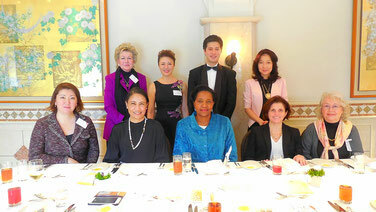 Ms. Ndiyoi Muliwana Mutiti, Ambassador of Zambia, H.E. Ms. Tania Laumanulupe Fusitu'a, Ambassador of the Kingdom of Tonga, Mme. Rena Ismayilzada, wife of Ambassador of Azerbaijan, Mme. 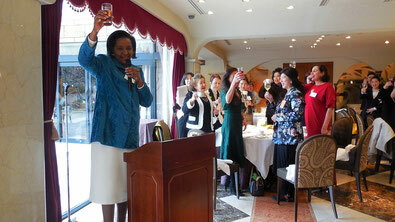 Marlise Vahekeni, wife of Ambassador of Angola, Mme. Manya Kostova, wife of Ambassador of the Republic of Bulgaria, Mme. 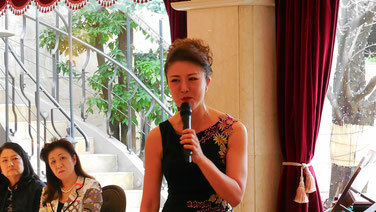 Mandhuk Baudarbek-Kozhatayev ,wife of Ambassador of Kazakhstan, and Mme. 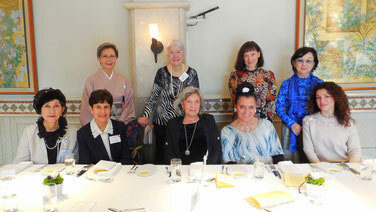 Matelda Starace, wife of Ambassador of Italy, attended at the meeting. 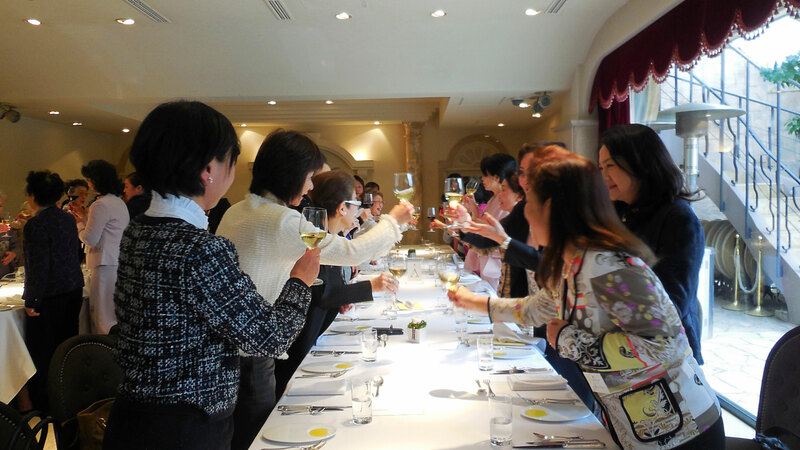 There were 80 attendees in all.